Pilates for Dancers: What’s All the Hype About? Of my twenty-three years of life, twenty of them have been spent dancing. Throughout this journey, there have been struggles, injuries, and many “no’s” but I knew from the time I was twelve I wanted to become a dance teacher. When I got to college, I noticed something – everyone around me was taking Pilates classes, dance students and professors alike. Was is it just a fad or actually beneficial? I dove in and began taking Pilates classes as a method of cross training. I found through dancing alone, I wasn’t able to apply proper alignment or build the necessary core strength I needed. Pilates translated so easily for me and taught me about control, strength, and how to apply it in my dance classes to help improve my overall technique. 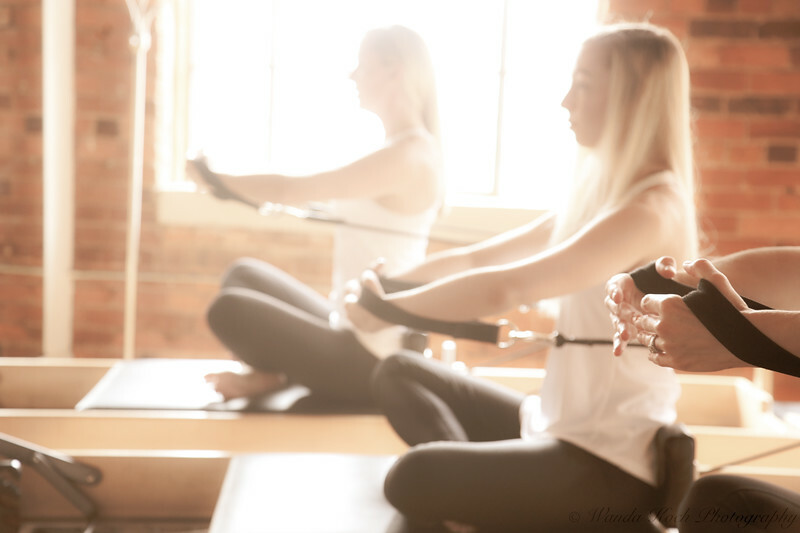 The goal of Pilates is to strengthen muscles, increase flexibility, and aide in movement efficiency, all of which are extremely beneficial to dancers. All of these combined principles allow dancers to develop a better understanding of their own bodies, improve balance, and obtain improved alignment of the joints. For dancers, improving alignment is extremely important to avoid injury. A large number of dance injuries can be traced back to alignment. If your knee is not in line with your ankle you’re at risk for a knee injury. If your back is swayed, you’re at risk for low back pain, and the list goes on. Pilates taught me how to correctly engage my core and my spine in one nice, long line. By learning how to do this properly, I was able to fix my sway back and avoid what likely would have led to future low back pain. While you should always consult your doctor before doing any kind of physical activity for injury, Pilates can be a great tool for injured dancers to use to aid in rehab and recovery. With specific, targeted exercises Pilates can help rebuild strength in the weakened area while not overdoing it. Pilates can also be a beneficial tool for dance teachers. One of the aspects that has been most helpful for me as a teacher is the way verbal cueing is used in Pilates. When I started taking Pilates regularly, I began to notice that a lot of the alignment specifications in Pilates were very similar to alignment requirements in my dance classes. However, the big difference was that when cueing alignment in Pilates there was more than one way to explain something. Almost every Pilates instructor I’ve had the pleasure of taking class from has cued alignment in a different way. For instance, instead of simply saying “hold your core” I’ve heard things like “imagine someone has wrapped saran wrap around you and is pulling it tight,” or “think of your core as a rubber band being pulled taut in opposite directions.” These descriptive cues make it much easier to visualize what should be happening within your body, especially for younger children that have yet to develop a sense of body awareness. Being able to use such a wide variety of verbal cues and explanations helps ensure that students will truly understand and apply the instructions being given to them. The best feeling is when a student’s eyes light up because they’ve finally figured out how to effectively apply a correction. Pilates definitely isn’t a new fitness fad dancers are into, as it can truly be valuable toward improving one’s approach to dance, for both dancers and teachers. Check it out and your body will see what all the hype is about!